Marina Alta is a comarca in the province of Alicante, Valencia Community, Spain. On either side of El Montgó Mountain and the Cape of San Antonio, Dénia and Xábia lie stretched out before the sea, the former crowned by its castle, the latter littered with lookouts. The cliffs of Benitachell shelter peaceful backwater. At Cala Del Morais cove, the mountain plunges into the sea. In the water, the Cova dels Arcs cave forms inviting archways ¡Dive on in! Within the city walls, the Gothic style dominates the houses of Teulada Moraira. Outside lie the beaches of l’Ampolla and El Portet and l’Andragó cove, with their pale sends and translucent sea. 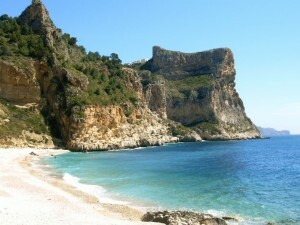 The Peñon de Ifac is a giant rocky outcrop tethered to Calp by a thin strip of land. 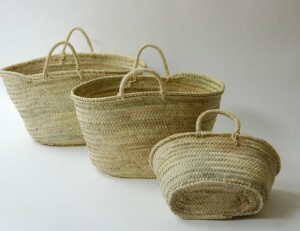 For hundreds for years, esparto grass and wicker have scented the air in Gata de Gorgos, where craftsmen have worked theses natural fibres with their skilled and patient hands. Water sports facilities and three golf courses in beautiful natural setting. Every Saturday, the family-owned wineries of Xaló prepare the taps of their great barrels opposite the antiques market. The streets are packed with visitors and their air is scented with wine and mistelle. Just like in Parcent. This wine country. In places like Pego, Verger, Beniarbeig, Onward, Pedreguer, Orba and the valley of la Rectoría, orange groves carpet the land and perfume the air with orange blossom in the springtime. And no visit to the district is complete without a trip to the Arab-templar castle of Absubia, a silent sentry from the past, or to the enigmatic, prehistoric cueva de las Calaveras cave in Benidoleg. The plat star to the Marina Alta is the arrow a Banda.